NovaFlect 7 retro-reflective tape is a Class Ref 1 BS EN 12899-1:2007 reflective tape designed to make hazards, obstructions and protrusions easier to see on even the darkest night (formerly classified as Class 2 Engineering). 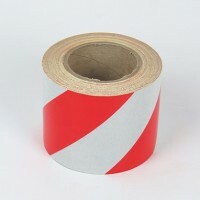 Marking vehicles, gates/fences, bollards, barriers, trailers, caravans, wing mirror extensions, HGV’s and more. NovaFlect 7 is the reflective tape that bounces back light from headlights, torches and other light sources, helping to protect people, vehicles and property in the dark. It can be used indoors or out, but has been designed to withstand the most demanding outdoor conditions, with a working life of over 7 years when applied according to manufacturer guidelines. The release liner makes applying the retro-reflective tape to surfaces easy and, once fixed, the tape is designed not to peel away if bumped or scratched. Instead, any loose areas simply separate, minimising any further damage, retaining the tape’s integrity and effectiveness. NovaFlect 7 conforms to EN12899 for chromaticity and co-efficient of retro-reflectivity. Ensure surfaces are sound, clean and dry. For best results, clean with NovaBond Surface Cleaner and apply in temperatures above 10°C. 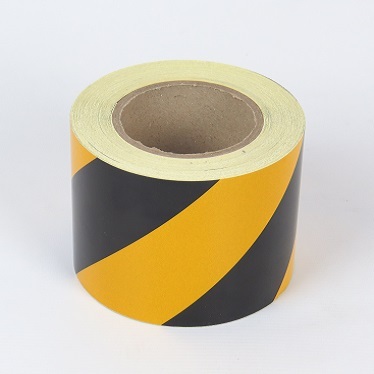 Position tape and apply uniform pressure in one direction to avoid trapping air bubbles.